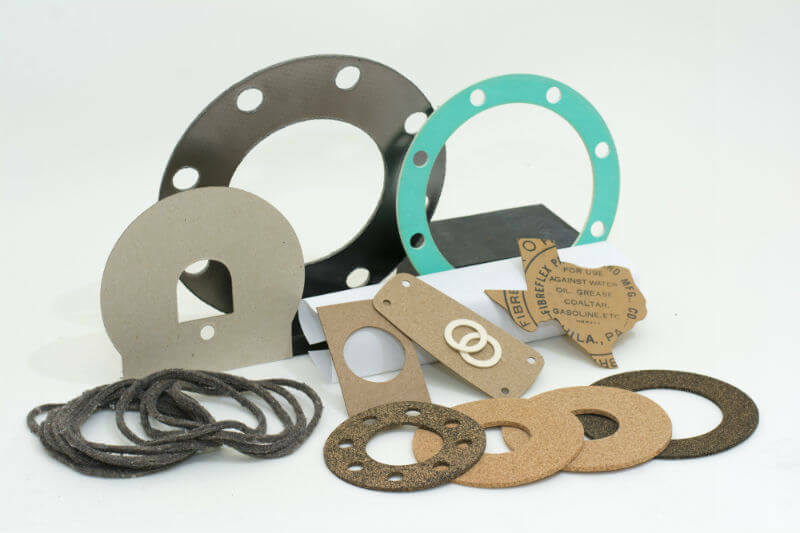 Blaylock Gasket & Packing is proud to stock an extensive inventory of non-asbestos sheet material that can be used to create gaskets or sold by the sheet. Our non-asbestos sheet is a compressed sheet produced from a combination of aramid and other synthetic fibers and bonded with several binders, the most common being nitrile rubber (NBR). NBR is a popular material for valves and pumps that offers solid temperature and chemical resistance, thanks to its unique makeup. Common applications for this material are sealing, automotive, oil & gas and those that involve acids and other chemicals. The service team at Blaylock is ready to assist you in choosing the right non-asbestos material from our inventory. You may be dealing with industrial gases, synthetic oils, animal oils, brine or even diluted alkalis. In any case, Blaylock can be your one-stop sealing source. Our inventory is of the highest quality, and the people who make up our company are knowledgeable and experienced with the applications of our materials. There is a reason Blaylock has been in business for 30 years and three generations. Contact us today and we will gladly show you why that is, and help you outfit your project with the best non-asbestos sheets available. Available Sheet Sizes Thickness 1/64", 1/32", 1/16", 3/32", 1/8"
Sheet Sizes 59" x 63"
Available Sheet Sizes Thickness 1/64?, 1/32?, 1/16?, 3/32?, 1/8? Sheet Sizes 59? x 63? Available Sheet Sizes Thicknesses 1/64", 1/32", 1/16", 3/32", 1/8"
Available Sheet Sizes Thickness 1/32", 1/16", 3/32", 1/8"
We're proud to be judged by the company we keep. Blaylock maintains membership in some of the world's premier sealing and quality organizations. Have Any Questions? Get In Touch.